Writing the recent post about Mevis and Van Deursen's monograph and seeing the reaction in some of the comments started me thinking again about the relationship between design and editing. Here was a case of two designers acting as their own editor. Yet, to my mind, they dropped the ball. The fact is that many designers fancy themselves in the role of editor. Why wouldn't they? They work with editors all the time. At least they should be working with them. If a designer is handling text and there is no editor in sight, then things are probably already starting to go wrong ... but I am running ahead of myself here. Usually there is an editor and sometimes more than one. Designers see this person, envy the power he or she has — to decide on content, to make final decisions, to boss the designer around — and think to themselves: "I could do that. I'm practically doing it already!" Sharing the same digital production tools adds to this feeling, giving designers a degree of access right up to the last moment that wasn't possible when typesetting was carried out on someone else's premises. In recent years, the desire to take on such a role has intensified. We have the designer as author and, as part of the same process of chest inflation and self-empowerment, we have the designer as editor. Some of these aspirations are based in the undeniable areas of overlap between writing, editing and design. An art director commissioning a set of images to go with an article is doing something quite similar to the editor who commissioned the text. Everyone has to engage with the same issues of meaning and communication for this to work smoothly. It doesn't happen often, but the art director's vision can be so powerful and commanding that it overcomes the editor's and becomes the controlling force in a publication. The German women's magazine Twen, art directed in the 1960s by Willy Fleckhaus, is a famous case in point. More recently, Tibor Kalman succeeded in grabbing editorial control of Colors magazine for 13 issues, though he had to deal with another dominating visual person, creative director Oliviero Toscani, who was even higher than him on the editorial ladder. I have always supported the designer-as-author idea — authorship is a broad church — but the designer-as-editor demand has never convinced me as a rallying cry. I can hardly deny that there is an element of protectionism in this. I used to work as a magazine editor and I still sometimes take on editorial projects. So I feel about as thrilled with the idea that we should declare open season on editing as designers must feel about the idea that everyman and his PC can be a designer. I'm on the designer's side on that one. I believe designers have a level of ability, skill and talent that an untrained person is unlikely to be able to match. It's exactly the same with editing. There is knowledge to absorb and skills to master and problems that you only learn to deal with through experience. There is basic aptitude, too. Not everyone is cut out for it. Editors concerned with content will need to be unusually well informed about their field and they will require a capacity for analytical thinking with language. Editors responsible for copy-editing will need to be exceptionally well versed in matters of writing style and grammar. Editors whose job is to proofread will need eyes like lasers — totally reliable proofreaders are hard to find. Being an editor is not simply about choosing some things you happen to like and throwing them together to see what happens. It should be about a deep engagement with content and the construction of meaning. Some designers certainly have what it takes. I wrote a book about the late Herbert Spencer, editor and designer for 18 years of Typographica magazine. Spencer was entirely self taught, but he attained a high level of mastery of all three aspects of editing mentioned above. How many designers today would be capable of writing the kind of detailed editorial and orthographical style guide that Spencer produced for Lund Humphries, Typographica's printer? Among contemporary designer/editors, I would single out Ellen Lupton, author of Thinking with Type: A Critical Guide for Designers, Writers, Editors, & Students. Lupton knows her stuff and you can tell that she takes pleasure in every tiny detail. The appendix of her book should be a first stop for any young designer who wants to learn about the relationship between editing and design. 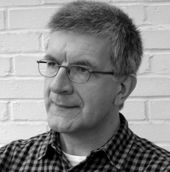 Another multi-talented figure is Robin Kinross, writer, designer and owner of Hyphen Press, which publishes his own Modern Typography: An Essay in Critical History. Kinross is the kind of person who would sooner cut off a finger than make an egregious error in print. I would be happy to trust either of these designers to edit my writing, but few others. It's no coincidence that all three designers named here have, or had, a deep involvement with type. Typographers and type designers almost invariably share an editor's obsession with even the smallest details. Designers' widespread fantasy that they could easily operate as editors given the breaks is part of the general devaluation of expertise in our culture and a growing suspicion of those who presume to decide what we should know about. The Internet's rise has fuelled this scepticism. Blogs flourish as alternative, write-it-yourself sources of information and commentary that pose a direct challenge to the entrenched authority of print publishing. I sympathise with this. I'm a blogger, after all. Some editors' blind-spots drive me nuts. (Not the ones I work with, I hasten to add.) At their worst editors in positions of power presume to act as gatekeepers, while often seeming to be complacent in their ignorance and deeply patronising to the readers they claim to serve. How useful to have blogs as one possible corrective — if there's an obstacle in your way, step around it. On the other hand, good editing is about quality control. Without it, quality will suffer at every level from the standard of research, thinking and writing to the number of typos. It is not ultimately in our interest as intelligent readers to undermine, still less to abandon, a craft that has been developing for centuries and that has thousands of highly accomplished and deeply committed practitioners. In most cases, I would say leave editing to the editors, but since their role is so vital let's breathe hard on their necks, hold them to account for their judgements and challenge them to do better. Funny: in reading this I found myself thinking the opposite: "Editors' widespread fantasy that they could easily operate as designers given the breaks is part of the general devaluation of expertise in our culture." I suppose that most good designers would also describe what they do as being about "quality control," too. Where do you draw the line, Rick? 'to edit' is to assemble by cutting and rearranging. it is about altering, pacing, and refining. designers who are sensitive to both words and the forms which carry them, those who have a typographical focus like armand and linda, bring a certain sensibility to words that editors dont have. how they sit and look and feel on a page. i think armand and linda are very sensitive to this in their work. im not arguing against collaboration, but to think that its wrong to have graphic designers handling text without having an editor present is, well, wrong to me. of course, some designers could benefit from it, but we're not all illterate. but to say that editors should always be present when designers are handling text is like saying that marketers should always be present when designers are handling/developing branding materials for corporations. which really isnt true. dave eggers is a good example of someone who is more literarily based but also a skilled designer who uses this sensitivity in his design. giant robot is another publication whose designers and editors were one and the same. in fact, the whole of zine culture is based on one person being authour/editor/designer in one. chris ware is an example who is more formally/visually based who is also very excellent with words. and i think armand and linda are very good editors in their own right, using graphic ideas as vehicles to hold together a book. their book if/then is a very good example of their bringing a book to life through a graphic idea, as well as their book on viktor and rolf, which collected every article ever written on them, showing the fashion designer's growing presence in the fashion world. perhaps this desire for 'chest-inflation' has intensified in recent years because design is no longer simply vocational. the education of designers varies a little more widely now, and some designers, like myself, do have a liberal arts background and have substantial training in reading, writing, and research. like architecture, graphic design has gained a certain intellectual component that it didnt have in previous generations. also, i think there is a distinction between copy editing and editing in general isnt there? obviously, designers shouldnt be responsible for editing copy and grammatical issues, just as editors shouldnt be held responsible for production and printing problems. but the examples i give above show designers' capabilities of having an organizing editorial idea. The editor idea is interesting in graphic design because it moves discussion away from the restricting confines of the author/audience dualism. The former focuses on meaning as generated by the all-important subjectivity of the designer...their intentions and the effect of their 'signature' etc. The latter flips this round and, helped along by a body of thinking since the seventies, has focused attention on the way that meaning is completed and often, with the slippage of context, culture, age etc. modified at the level of the reader. If we think of just how many people see any one piece of visual work and of the slippage that happens each time, then we get the sense that the visual can only communicate in an atomized way. Slippery indeed. But both these modes of thinking miss a trick or two....the way that designers themselves slip between being author and audience - actually just like anyone out there does - as everyone has to negotiate the topography of the visual world day by day, minute by minute, both reading the visual, editing it and re-authoring it from txting with emoticons to that note on the tree saying 'Anyone found my tortoise?'). But that's to digress. Like the original post suggests it can only be designers/design writers to stop bothering with Editors. They provide the much-needed fresh, detailed and distanced perspective on work that anyone who's been staring at it too long just can't have. But I do think that designers thinking of themsleves as editors as a kind of method is a useful perspective for a few reasons. It gets rid of this idea that communication is a dialogue between two points and the reductive either/or-ism that meaning is either in your genius hands or totally out them. It gets designers to think of themselves as nodes in a network of communication - portals through which meanings pass and, briefly, take shape in a particular, but momentary, constellations - before passing on... It brings back the sense of agency that we all, not just Editors, have. None of this is new of course. Designers will recognise that they do this all the time and that's the point; it's not that we don't do these things, but that different buzzwords can highlight certain processes/ practices/effects and hide others. The terms author and audience have been useful in someways, but it's time to look at what they've stopped us focusing on now. And this is what the term editor can do, unpoetic as may be. This ability we all have to create different narratives with each edit of our work is something that needs to be nurtured and developed in a self-aware way - with all the attention to detail and nuance that we learn about from proper Editors. Jessica, I don't see the point of trying to turn the tables before the discussion has even begun. If lots of editors really think this (do they? ), then it's perhaps a topic for another thread. I'll just say that any editor in control of a highly visual publication who doesn't have a sense of visual structure or an understanding of how design can articulate material and shape meaning is in the wrong job. With reference to Manuel's point about designers handling text in the absence of an editor, let's also be clear that I am focusing in this post on more serious forms of publishing that involve longer, relatively complex texts (magazines and books in the main). Clearly, in commercial situations, with leaflet and brochure texts, for instance, there is no publisher as such and often a client who knows little about the finer points of the editorial process. In those situations, designers can find themselves in charge and they will commission copy-writers, copy-editors and proofreaders who work to their direction. They may do this more or less well depending on their knowledge and experience, but this is not the kind of project I am discussing above. For the record, if/then had an editor, and a very good one, in Jan Abrams. I've worked with Jan and I recognize her sensibility on every page of that book. The best designers, not just print but exhibition and multimedia designer, think like editors, even if they don't seek that title. One last thing: I was working on Tibor Kalman: Perverse Optimist, a book that has a fairly straightforward design but the assembly of which required months of sifting through a lifetime's worth of visual material. When the book was near completion, Tibor took me aside and said he wanted me listed as a co-editor of the book. When I protested that I was happy to be listed as the designer, he said, "Oh, no: editor is much better." Kalman is certainly a key figure in any discussion of the designer as editor because he made a point of publicly declaring his dissatisfaction with what he saw as the limitations of being a designer and emphatically stated his desire to be an editor. Then he actually achieved this. He had studied journalism for a while at university, too. Words had always been important to him and M&Co's output was striking for its witty use of language. The key thing was that Kalman had a point of view. Without one, there can be no effective editing. Returning to Manuel's point about his own academic background in reading, writing and research and the increasing emphasis on the intellectual component in design, I see this as a highly positive development. I believe design can only benefit from this emphasis, though it remains controversial for some. A British educator recently told me that the rise in interest in theory and writing in the last five years among his MA students had been accompanied by an increasing inhibition about producing visual form. The more they thought and analysed and critiqued, the harder they seemed to find it to let go and make things. Still, if we can get the balance right, this could facilitate the emergence of a new kind of all-round editor able to operate with total assurance in the spheres of both text and image. We already have such people, of course, in the fields of film-making and television. My scepticism comes from hearing graphic designers who are manifestly not qualified in this way make grand claims about their desire to edit and from seeing designer-led publications that are editorially feeble. Good point about Janet Abrams, Michael. She used to be a colleague in my Blueprint days: a woman of formidable intellect and visual acuity. There is something bleakly humorous to me now about the whole designer-as-editor issue: in the quotidian practice of designing books, we have to deal with an increasing number of ambitious publications that have no editor at all. The reasons for this range from the sloughing off of experienced staff by institutions during the cash-strapped early 00s to the over-valuation of programs like spell check. These orphaned projects, far from liberating us as designers, ensnare us in the revenue-sucking orchestration of hundreds of little adjustments and changes, leaving little energy for creative thinking. Far from wanting to hijack the process of editing, I now wish to kiss the feet of any good editor who comes our way: they are critical partners in our design process! "The grand title editorial design is a slight provocation. I am not a graphic designer, and don't aim to become one, but as a design critic, I have come to regard the craft of designing as essentially the craft of organizing structure. Writing, editing and design are connected. We may have different talents and professional expertise, our common job is to organise interfaces between content and form. Conversely, every visual design is an editorial activity. As a writer and editor, I highly value this aspect of designers' expertise. When done well, all design is editorial. In that respect we are colleagues in editorialism." The problem with the second half of this, as a critical position, I would argue, is that it pre-judges the issue. A visual design might not be an editorial activity in any significant sense, so Max's "every visual design" claim is somewhat sweeping, as the phrase "when done well" then seems to acknowledge. The degree of editorial thinking a design may or may not involve has to be determined on a case-by-case basis. Any writer who deals with a visual subject and is involved in its presentation in books and magazines is bound to think in design terms. I have argued elsewhere that such decisions are an essential part of the critical process. That's certainly the way I have approached my own work on books and magazines. I have often noticed how ready viewers are to credit as "design" decisions regarding visual content and its placement that were made by me as author or editor. I have simply accepted this, without making a big deal out of it. I certainly don't see myself as a designer. What Lorraine describes is the devaluation of expertise in action. Not to engage in list-making, but would it be correct to add Rudy VanderLans (Designer and Editor of Emigre), Nicholas Blechman (Designer, Illustrator and Editor of Nozone), Peter Bilak (Designer and Editor of DotDotDot) to this category and even - multi-photographed winners in I.D. 's latest design annual - Colin Metcalf and Kevin Grady (Designers, Writers and Editors of Gum) and if we even want to stretch it out to very new efforts, how about Andy Arikawa (Designer and Editor of Design In-Flight)? Surely, the quality of each person's design and editing varies and some may be questionable but there seems to be a natural fluctuation towards editing. Just like there is a natural fluctuation for designers to fixing their own plumbing. It's a combination of curiosity, control and freedom to do as one likes or dislikes. Research trends show that Americans are tired of competent and qualified people doing things well. There appears to be a strong pull toward the non-talented, or the incompetent. Look at William Hung, or Paris Hilton, or the entire United States Congress. So, there might be a place in the world for designers stumbling through the editing process, who knows who may come out victorious. I find Rick's original comments both comforting and disturbing. Comforting in that I recognize my own inability to properly construct and edit my own writing with expertise, let alone the work of others. It is a level of "quality control" I do not yet posses. Content selection too is an extremely difficult process and comes with the same amount of responsibility and practice that design itself does. But as our list of designer as [new genre, fill in the blank here] grows: author, researcher, reporter, producer... I am disturbed because I fail to see any discussion in regards to the question do editors themselves posses the knowledge neccessary to edit designed content/authorship or design as research? How does one edit when the process of content making and form giving are one in the same? when form becomes a text? are editors then solely responsible for content selection/collection? or do we view editors as a necessary collaborator and part of the design process itself? "do editors themselves posses the knowledge neccessary to edit designed content/authorship or design as research?" I am of the opinion that any editor of a literary journal, Paris Review for example, would most likely answer with a resounding "Yes." Even Guillaume Apollinaire had help with his Calligrams. I also think an editor might say that the editorial process is, by nature, collaborative. At least such has been the case with any editor, whether in film or literature, that I've ever met.. Placement and variation of the text on page and relations to any abutted imagery works very much like the emphasis of meaning placed upon a word in a sentence or thought. The double-line break after a paragraph works to connote a change in the direction of narrative or the passing of time, sometimes both.. It is an element that works similarly to the cross dissolve in film. This all basic stuff of course, but editors are just as likely to suggest nuanced typographical layouts based on the seriousness or whimsicality of the work in order to evoke a specific affectation on the reader. And it might just be me, but any decent editor must surely be offended at the inference that he or she may not be equipped to deal with conceptual or subtle material. Ryan, Lorraine gives us a strong example of what happens when editors are not involved as part of the creative process. But it's interesting the way you put this -- "do we view editors as a necessary collaborator and part of the design process itself?" -- almost as though design comes first. This is the way some, and perhaps many, designers do view the content that editors and writers supply: as a pretext for design, which is the main event. If the audience then looks at the dramatically designed object and enjoys its visual qualities but doesn't bother to read it (as some designers don't trouble to do either) it can seem as though design is the main object of the exercise. Everywhere we look, our culture has given a massive thumbs-up to the seductive allure, persuasive power and selling potential of design. And all of this adds to the feeling among some designers that, if design is so important to us now, then it's designers who should be running the show. Grant's comments about the understanding of the visual that editors need are very much to the point. One book I believe any designer who works with photographs should study closely, especially if they are involved in any kind of journalism, is Harold Evans' Pictures on a Page: Photo-journalism, Graphics and Picture Editing. As editor of The Sunday Times (in London), Evans possessed an acute grasp of the power and meaning of images within the designed page and this book, which can justly be called a classic, is a mine of wisdom. Another project I would single out as a superb example of visual editing in the service of knowledge and understanding is the now vast series of books published by Dorling Kindersley. To give just one example, take a look at Ideas that Changed the World written by historian Felipe Fernández-Armesto. Each topic -- the idea of symbols, the idea of divine justice, the idea of godless humanism, and so on -- is given a short essay on a highly illustrated double-page spread. It's hugely engaging to the non-specialist reader while packing in a wealth of information that you would once have needed to extract from a whole shelf of dry, pictureless textbooks. It's a fine example of integrated editorial and design thinking created by the author and a team 16 people that included, on the visual side, a managing art editor, an art director, a creative director and a designer. But such a book can, of course, only be a taster, a way of firing the urge to find out more. It isn't a substitute for deeper kinds of engagement with these subjects. On Rick's comment: "A British educator recently told me that the rise in interest in theory and writing in the last five years among his MA students had been accompanied by an increasing inhibition about producing visual form. The more they thought and analysed and critiqued, the harder they seemed to find it to let go and make things." It's hard to let this view go without counter-comment ...isn't it frightening that British educators, especially at MA level, might see the slowing down to reflect part of designing as negative ( I can't imagine this view coming out of architecture for instance) . Do we really want instant design education, just like some clients want instant design? Even if, at first, it makes it hard to generate work in a un-self-conscious manner, in the long run, the new working methodogy (thinking! ) will become internalised and 'owned' by the designer in a way that allows them to fluidly produce work. This takes time, because to understand why you work the way you do is much harder than just doing it 'because' - and is, usually, all the better for it. In industry/practice, one might not have time for this process, which is exactly why we need education...it is meant to give people the space and time to reflect/analyse etc so that when they go out into the world the standards/thoughtfulness/understanding of nuances etc. - all the things that we look to (design) editors for - are not instant, so much as in-built. I find this whole discussion very interesting particulalry because I myself, as a designer, have recently ventured into the world of editing text in 'Open Manifesto'. I find it interesing because I agree with Rick's position that, when a designer is dealing with large volumes of text, general experience in editing as well as copy editing is needed and, obviously, very useful. However, circumstances don't allow me the luxury of an editor and my editing is largely intuitive mixed with a lot of hard effort. In fact, it took me 9 years to muster up the courage to do the project because of this very issue of editing. But I am not so sure that designers becoming editors should be off limits. As Armin pointed out, publications like Emigre have been very successful. I think this argument is quite simple. Like all things, there are good designer/editors and there are not so good designer/editors. Hopefully, they will inspire us equally to do as well as the good ones or better than the not so good ones. Either way, in everything we do, we try our best, we hope to keep learning and we wait to see if it achieves something beneficial. And, regardless of what level we are at, in whichever field, there is always room for improvement. So whether or not designers should become editors, there are cases to argue yes, if they feel the need or desire and if it helps them to think critically. Whether they are capable, well that depends; if they are not up to it, they simply won't last due to a diminshing readership. But I do think it's worth giving it a shot. Whether you succeed or not you'll certainly learn a lot from trying. At the very least, in the absence of one, you'll learn to appreciate the talents of an experienced editor. What Rick neglects to mention (even though he has served in this capacity) is that often an editor is an invisible force that prevents embarassment and worse from happening in print. As an "editor" of various books and journals I could not survive without the wisdom and keen eyes of the backfield editor (a newspaper term for the editor that cleans, shapes, and polishes). There are many kinds of editors. The ones that Rick cautions merely pick, choose, and slap together material. The ones that carefully organize and analyze. The ones that meticulously craft the text, check the facts, and otherwise do much heavy lifting to make something "publishable." And more. . . I agree that designers are editors in a broad sense. But even the best designer/editors require a fairy-god-editor who toils away making certain that the outcome is as flawless as possible. Of course in the blog environment this has not been a major concern. But what I'm reading in Rick's between-the-lines comment is that it should be, and at some point (when bloggers can afford it) will be. Editors can be very harsh on a designer when their "editing" or writing or assembling does not meet editorial standards. But anyone who produces books, journals, or magazines know the editor is often the most integral part of the collaborative process. And by the way, its very easy to determine when a skilled editor's hand is absent (just check my splling and you'll sea). Comprehension of a text is a much more time-based and linear process; whereas graphic design can have the freedom to be much more immediate and intuitive from the standpoint of a general perception of the work. Editors have a trained and very acute sense, based on their specialized expertise, of how language and the process of reading work. As example, the closest experience a designer would have in common to a spell checker might be like a never-ending press check- constantly pouring over the pages for the slightest of plate blemishes. What we infrequently see are designers who assume a deep editorial engagement with content beyond design. I'm thinking of Herbert Bayer creating the World Geo-Graphic Atlas (1953) or Erik Nitsche's The New Illustrated Library of Science and Invention (1962-65), where they played primary editorial roles. There are no examples in this post of such figures in contemporary publishing. These are the design editors I want to met. A second and separate point. There is another criteria for evaluating a great editor: championing and developing great writing. John Updike and Susan Sontag were great champions of new literature, for example. But where are the new voices in design writing? Design has begun to acquire a critical voice and academic standing. But design still has few great writers that explore and probe its boundaries and foibles in prose that takes one's breathe away. "But design still has few great writers that explore and probe its boundaries and foibles in prose that takes one's breathe away,"
You could have used an editor here: "breathe." Still, you are right about how editor is defined: Nitsche was a visual editor, though he hired writers who took cover credit for the various books, and he hired copy editors to clean the writer's text and captions. In fact, Nitsche was a book "packager." Which returns us to another specialized term, "designer as producer." So was Harlin Quist, Quentin Fiore, and Herb Lubalin. They edited in the grand sense of selecting and moving images and text around - they even wrote a bit - but they were more puzzle masters than true editors in the sense that Rick is arguing. As for "But design still has few great writers that explore and probe its boundaries and foibles in prose that takes one's breathe away,"
You are right if you compare graphic design literature to that of architecture, photography, painting (who can compare with Gertrude Stein on Picasso), but it seems to me this kind of harsh self-criticism does not address why this is true or NOT. Personally, I think there is excellent work being done. Nonetheless, perhaps it comes back to the editor. A good editor can make Shinola from you know what. A good editor separates the wheat from chaff and keeps the wheat. A good editor will make a writer rise to the next level. I'd argue that while blogs are encouraging more design writing, just as the upsurge in design magazines (as opposed to "trade journals" encouraged this over a decade ago, the ostensibly self-edited blog form is allowing a lot of chaff. So if one is looking for the next Updike or Sontag in this medium don't hold your "breathe." For this writing to emerge, it must start in the design schools where writing workshops are as important as design studios. But that's another post. . .
Bill, it's certainly the case that most designer/editor/authors -- like Spencer, Lupton and Kinross -- concentrate their efforts on design as subject matter. Designer/editors focused on non-design topics are rare and I agree with you that this is what we would hope and expect to see if designers really do have the capacity to edit. One such individual, who I have written about elsewhere, is the British designer David King. He has a background in visual journalism as art editor of The Sunday Times Magazine. His time at the paper overlapped with Harold Evans' editorship (mentioned above). King actually has a subject matter: Soviet history of the revolutionary period. He acquired a huge archive of photographs and he uses these to author, visually edit, design, and collaborate with scholars on visual histories of Russia. If you visit King at his remarkable house in London, which is like a museum, you are likely to find him churning through 500-page political histories at the kitchen table. He is the real deal, a tireless, obsessive researcher and self-teacher, his conversation peppered with references to obscure Communist party members who fell victim to Stalin's purges. They live in his thoughts. He has devoted much of his working life to this effort, gradually leaving the world of design commissions behind him. His books include Trotsky: A Photographic Biography; The Commissar Vanishes (about the falsification of photographs and art in Stalin's Russia); and Ordinary Citizens: The Victims of Stalin. Why don't more designers become experts in other subjects? Writers do. Editors do. Film-makers do. So why are there so few designers seeking to embody their findings and interpretations of non-design subjects in revealing and compelling visual form? I have to admit I get tired of hearing the empty rhetoric about what design should do. If designers think it ought to be possible, prove it. Do it. Among the designer/editors I mentioned above, I neglected Harris Lewine, who produced/packaged various books on themes other than design. One such was on the history of cigarettes (before it was politically incorrect). Nitsche's books were rooted in visual culture, but were NOT about graphic design per se. They covered science, music, technology. That they were beautifully designed made them more appealing to the reader. Oh, and then there was Merle Armitage who in the 30s - 50s wrote (some) and produced books on dance, sculpture, cooking, and geology. Everyone leans towards that which they know. In the case of the designer/editors Rick mentions they also enhance their fields with their knowledge and design expertise. But there are many designers who editor and/or write about themes that go beyond this insular world. David Lance Goines, for example, wrote a remarkable history of the Free Speech Movement in Berekely, which is not even illustrated. BTW, one example of designer/editor that has been left out is Martin Pederson who took over Graphis after Walter Herdeg, another designer/editor, retired - and has since published scores of books on design and also on visual culture, in addition to the now faltering magazine. This is not simply a random list, it is an assembly of models. While we should strive for Updike and Sontag, we also have those closer to our own universe who have accomplished what is called for here. Fascinating discussion (as usual, over here). My only commnent is that if want to do the job, do it well. Tibor Kalman at Colors in excellent example, as you point out; sadly, many designers overstep their skill set in trying to be editors as well. Michael (way back) quotes Tibor as saying that 'editor is much better' which, if he means superior and he clearly does, is surely true. In publishing, and especially in newspapers and magazines but in books too, the editor is the producer, the person in charge, the commissioner and organiser of the issue, the carrier of the philosophy that drives the publication along and makes it interesting to a readership. The designer serves the editor's purpose by commissioning art and giving form to his/her vision and therefore necessarily plays a subordinate role. Do the roles of the editor and designer cross? Naturally, and especially when the subject matter is very visual. But in the main it's not a complicated distinction to make and it's to do with ownership of an idea, however temporary that ownership may sometimes be. To say that designers are editors 'in a broad sense' then (SH) would I think be so broad as to remove most of the meaning from either word. Sometimes designers take ownership and then they become editors, and when they have the special skills required to conjure up and pursue an editorial strategy (and not just to proof-read the copy accurately) they do so successfully. These are not linear processes and there are few cleverer balancing acts than pursuit of an editorial strategy. The skills required are to combine an acute sensitivity to audience with an ability to nurture talent, meet commercial and competitive challenges and, over time, develop a succession of small stories into a grand narrative. One slightly off-topic thought? It seems that one thing everyone's wrestling with is the tendency digital tech seems to encourage for categories to melt and everything to swirl around. As a blogger, for instance, I've been made aware that one doesn't simply "write" a blog, one edits and (in my case, to a very small extent) one designs it too. Everything tends to become a multimedia extravaganza. It doesn't need to, but it tends to. Which means that many people are being forced to take other sides of the creative equation into accocunt. In my experinece, anway: Writers, designers, editors, graphics people, photographers, all have had to become somewhat more aware of collaborating with each other. There are upsides and downsides to this. So who winds up in charge, if anyone? It seems to be more random and politically-personally driven than it once was, at least from where I sit. The Dorling Kindersleys, putting out wonderful, team-made, text-and-image publications, are a rarity. But I think Peter Kindersley is a book-making genius. Does it all depend on genius? And at the same time, the de-emphasizing of The Word and the general leveling-out-of-all-things seems to promote a love of shallowness, impact, attitude, and shininess. All of which designers are more able to create, and create quickly, than verbal people are -- they know what's visually cool, and they know the machines and programs (unlike many word people). So the way to the top is open to them, since they're more needed in this environment than word people are. A real question for me is: Did designers always walk around with a lot of impacted grandiosity that's only now finding release? Or did this overweening thing that I see in so many designers get created by the new visually-driven culture? My own theory is that it always comes down to high school. Visual people (as far as I can tell) often felt hurt in high school. They usually weren't the smart kids. Math kids and verbal kids were the smart kids. Visual people had to content themselves with looking good and being cool. And so, during all those years of feeling picked on yet talented, they fueled their resentment and imagined how great the world would be if only they were sitting on top of the heap. And now they are. "In my experinece, anway: Writers, designers, editors, graphics people, photographers, all have had to become somewhat more aware of collaborating with each other. There are upsides and downsides to this." Is it collaboration or usurptation of traditional roles? I recall during the first proto-blog era - the underground press days - when easy access to photo typesetting and low-cost stat machines allowed writers to design and designers to write and editors to do it all. But talent was the ultimate arbiter. Those who were better at one discipline surpassed those who were less so. It was a lot like a high school yearbook. Those who made better pictures than words ended up making pictures, and vice-versa. Ultimately, those who had passion for whatever job they took, moved closer towards a professional career. I remember the writer P.J. O'Rourke (we worked together on a tabloid called the New York Ace) enjoyed making images, but he was so much better at turning a phrase that he gave up one to pursue the other. Eventually, he became editor of the National Lampoon, a highly visual magazine. He was a good editor because he knew good writing and appreciated smart (funny) design. Despite the ability to control it all, most people prefer to do what they are best equiped to do. Put any five people together online or in a room and ask them to produce a book or magazine, nine-out-of-ten times each person will take a unique job. Of course, there will be someone who takes charge, but that's the nature of collaboration. BTW, about the visual people in high school versus the brainiacs. It depends on the school. At Music and Art in NYC the best artist was King or Queen of the Prom. i agree that there is a need for specialization. there is also need for 'grunts' as well, in both design and editorial terms: facts need to be confirmed, dpi's need to be verified, spelling needs to be checked, typefaces and images need to be collected, output, and delivered, and somebody needs to know how to talk to the printer. my initial reaction to this posting was to the idea that designers should have nothing to do with words, or editorial content. Being an editor is not simply about choosing some things you happen to like and throwing them together to see what happens. It should be about a deep engagement with content and the construction of meaning. i would hope that this is the job of the designer as well, and that designers, in an ideal environment are capable of creating meaning as well. intelligent graphic designers working on good projects most likely are not just throwing things together, except maybe as an exercise in generating sketches that will lead to solid ideas. behind the statement above is the hidden prejudice that designers are just 'throwing things together', and providing polish. its betrays a bias of words and language over the 'merely' visual. regarding high school, in my experience it was the athletic people who were deemed popular. the 'smart' people, the verbal and maths oriented, were just as likely to be outcasts as were artist-types and those who were politically-minded. in fact, many people who were talented in 'academic' subjects also did quite well in arts and music, debunking the theory of specialization and dichotomization that runs through this thread. As an editor of books on design and someone who began their career as a designer, I find this dialogue fascinating. I am constantly working with my authors, who are more often than not designers, and who often design their own books. Throughout the process, we join forces and engage in a collaborative dance that is usually a successful and enjoyable experience. For the most part, I feel that the books I edit, where the author is also the designer, are tighter and often richer. The design works seamlessly with the content (assuming that the author is a talented one). If I were to take the same content and have an equally talented outside designer layout the material versus the author, I am quite sure the results would be weaker and more disjointed. The intimacy an author/designer has with the material is invaluable. The fact that an editor traditionally takes the helm is a purely logical one. First of all, it's in keeping with the evolution of a project. The idea is born and the editor jumps in immediately. The editor works with the author to develop and shape the content well before the design begins. One cannot design without content, and the design must reflect the content. Because the editor has been involved from the beginning and has an intimate knowledge of the material, they are the natural choice as "leader". Secondly, unless the design is THE content and THE purpose of the work, design is a tool used to make the content as user friendly, interesting, and communicative as possible. The most important aspect of most books, magazines, brochures, websites etc. is the content. Because of this, once again the editor is the natural choice as "leader" because of their intimate understanding of the material. Lastly, someone has to lead. There has to be one vision for the work - a defined goal and an appropriate method of achieving that goal. If there are too many cooks (more than one) it becomes an unfocused and weakened final result. BUT with that "privilege" of leadership, comes the ultimate responsibility for the end result. If a book does not do well, you can be sure that the designer does not hear about it...I do. The editor is held responsible for every aspect of the piece from start to finish, including the goal of the work, which in the publishing world, is sales. All that being said - it is imperative for the editor to leave his or her ego at the door and take everyone's suggestions into consideration. They are the keeper of the vision and must consider every opinion carefully because each member of the team, from sales to design, has a unique and important view of the work. I edit the design of the pages for every one of my books, but try as much as possible to leave design decisions to the designer because they are the experts, but if I see something that is not working with the content, I have to comment on it. This does not mean I think I am a designer (which I actually am in my free time) it is part of the editing process - making the most communicative, beautiful, logical book I can. The reality is that arrogant editors give editors a bad name, and arrogant designers give designers a bad name. Editors are not "better" than designers (sorry Tibor) and who is in control is not the point. The point is to respect each other's roles by truly collaborating and trying to achieve what is best for the work, understating why the structure is the way it is (because its logical), and leaving egos out of it. Can't we all play nice? Manuel, I have no "hidden prejudice that designers are just throwing things together". My criticisms of some designers' claims in this post are overt and explicit, not hidden. At no point do I suggest that these observations apply to all designers, and I have given several examples of fine designer/editors. I have been writing about design and the visual world for years, so your suggestion that I show a "bias" towards words over the visual is pretty baffling. The aim of my post was to highlight what is involved in professional editing, explore the relationship between editing and design, and see what others think about these issues. Some highly experienced editorial people - Michael Blowhard, Steven Heller, William Owen (author of Magazine Design), Kristin Ellison - have made some very thoughtful remarks. My thanks to everyone. My unperfect English doesn't keep me out of this post about culture making. The designer, editor, photographer, writer, revisor, interviewed fellow, and any other professional that integrates a work-team (and we all know that printed publications aren't the only ones which deserve this kind of specification) should evaluate, in an initial phase, what can he do for the improvement of the final edition. Even if that means an intense and long discussion before the producer (as in cinema: the one who pays the product) as decided how it will look and what it will say. There are 2 major incompatible paths to take when one is invited to make part of an editorial project. The payed-to-do-what-the-boss-says or the get-to-be-the-boss way: the well known noble conventional ways. Both can originate the most outstanding results as easily as the most uninteresting product. The general idea that I kept from Rick's post is that he is more friendly to build walls between the different technical features than to acknowledge that the comunication professional always tends to adaptate to a specific function, even if that means making things for wich he wasn't trained and taught. "I have always supported the designer-as-author idea  authorship is a broad church  but the designer-as-editor demand has never convinced me as a rallying cry. I can hardly deny that there is an element of protectionism in this. I used to work as a magazine editor and I still sometimes take on editorial projects. So I feel about as thrilled with the idea that we should declare open season on editing as designers must feel about the idea that everyman and his PC can be a designer. I'm on the designer's side on that one. I believe designers have a level of ability, skill and talent that an untrained person is unlikely to be able to match. It's exactly the same with editing." As a designer, I cannot dislike the flagrant honesty when he refers his opinion as a protective one. But it's unfair... Do we really believe powerpoint, bad compressed videos, heavy sites, ugly posters and comic sans will disapear? Artists make the same with designers and we still make exhibitions in art galleries all over the world. Big music enterprises make the same and digital music formats are now in the center of all these subjects and we may even consider its producers, and distributors as the principal responsible entities for the new commercial forms for music business. Nowadays, editing contents has a new democratic meaning. Music in digital formats is in some cases being treated like online real-time updated information. Generative works are getting more and more common and lots of web-based platforms, like Opsound and Discogs, are following the Wikipedia models. Copy-editing is the new job that competes the new cultural contents providers to perform. DeeJaying, bootlegging and remixing are now the words for copy-editing in the music scene, and it's mission is as important, and maybe more pertinent, than the actual excess of original producers. The same is happening with design, editing, photography, film making... Lets not try to over protect us because we need more players in our team (whichever it is), and as I like to put it, there will always exist bad art and good art, but there will not be no-art. The term "editor" is doomed in any working format it seems - everyone thinks it is possible to do, and surely in the case of the more uninspired ones, it is. But transpose the discussion for a second over to another collaborative format - film. It is helpful to see where the collaborative issues arise - generally between director and editor - concerning the point of control of the film's meaning. The best film-editors are literally famous (or infamous) for creating new- / saving hopeless- films by finding precious new logic in the lost or muddled logic of those many so-called auteur-directors, or the studio heads following marketing research, and the many other cooks involved etc. I was reading the biography "When the shooting stops.." by Hollywood film editor Ralph Rosenblum, whose experience ranges from Flaherty to Woody Allen. His articulate descriptions (reinventing the flashback for "The Pawnbroker" for example) of production, conception, heirarchy and collaboration, and the problems of that for the director especially, could easily be read as about working within the editor / designer process in other collaborative formats. Rosenbaum noted that even the top editors in film, who like himself, have found ways to deal with budgets using archive stock footage in unique ways, have had to completely reorder sequences and subsequent meanings by derivating from the script (too book- , not film) demand reshoots, etc.. all the complexity of matching budgets to concepts and final cuts, and tasks belonging to the director at some point...all this and more, still appear far below the final billing line, even though the film is arguably in fact as much their work as the director in many cases.